The actual venue for the conference was another pretty much unique bar/restaurant complex, The Church, which is, yup, a converted church: not just any old converted church, but the church where Arthur Guinness married his wife Olivia in 1761, two years after buying the brewery in St James’s Gate that later became rather well-known. It was an excellent choice by the organisers, since it provided space for receptions/parties/beer tastings in the cellars and a large room for the different conference sessions. Hands up, I probably wasn’t as interested or attentive in the different sessions as I should have been, except for the first, by Declan Moore, “consulting archaeologist”, on the early centuries of Irish ale: fascinating stuff, and it was great to meet him for the first time. Indeed, the social side of the conference was as important as any other: it was also good to meet face-to-face, among quite a few others, Steve Lamond of Beers I’ve Known, who was extremely generous with beers he’d brought along, and to find new friends too: I was delighted to make the acquaintance of Rossa O’Neill, trombonist and home-brewer, and a fine chap – you can read his take on the conference here. And what about the stuff civilians don’t (normally) get to do? Well, there were the two opportunities to try unfiltered and unpasteurised Pilsner Urquell tapped straight from the wooden cask, with PU’s master brewer Vaclav Berka doing the tapping: a vastly superior brew to the standard version. And the chances to chat to loads of new Irish brewers. 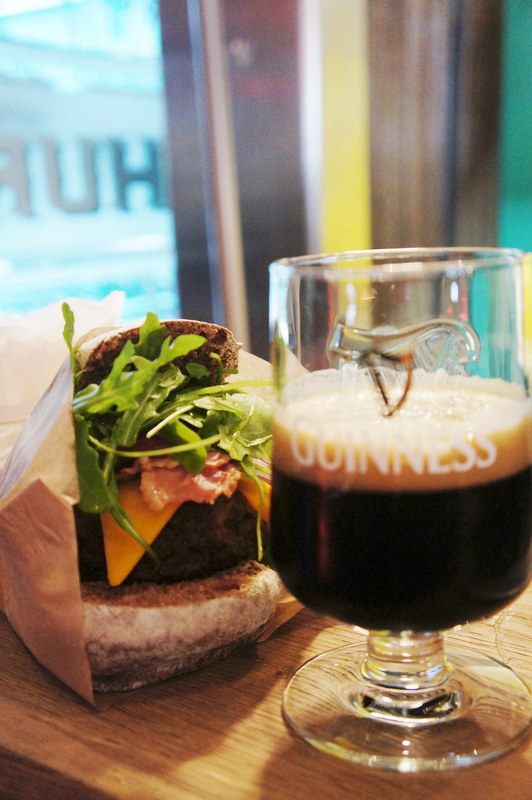 But the event I was most hoping for was the trip to the Guinness brewery at St James’s Gate. This is simply not something that happens any more: while once Guinness would let visitors look around the site, the public today is allowed only into the Guinness Storehouse, at €18 a head, which is, I’ll grant, a praiseworthy presentation of the story of one of the world’s great drink brands, but I’ve got all the books – I know all that stuff. I don’t know who among the organisers of the EBBC talked to whom at Guinness, but they did a wonderful job of persuasion. Guinness, led by its hugely knowledgable master brewer Fergal Murray (it amused me to be able to startle him by saying: “Hello – you won’t remember, but I interviewed you in an Irish pub in Hong Kong a couple of years back”), welcomed us in, fed and watered us magnificently (see left for just part of it), walked us through the 19th century tunnel that connects one side of the brewery to the south of St James’s Gate to the side nearest the Liffey (which few if any civilians ever get to do) and, mirabile dictu, let us have a look around their lovely brand new £128m brewhouse, Brewhouse Number 4, which has been built on what was formerly a keg storage yard. It’s so new it isn’t officially open yet, and when it is running properly it will be able to produce all the beer Guinness previously made at four different breweries around Ireland, including all the “Guinness essence” that is exported across gloebe for local breweries to make their own Guinness Foreign Extra Stout with. If you like big and shiny – and I’m surprisingly impressed with that sort of stuff – then the new Guinness brewhouse is magnificent. The main room is a huge space filled with vast stainless steel vessels, which, like icebergs, have far more of themselves unseen below the surface/floor. The biggest of the mash tuns are 21 feet across, meaning you could fit most microbreweries into one new Guinness mash tun two or three times over, and they hold 23 tonnes of grain each. They are, unsurprisingly, the biggest of their kind in Europe. It’s an amazing sight. 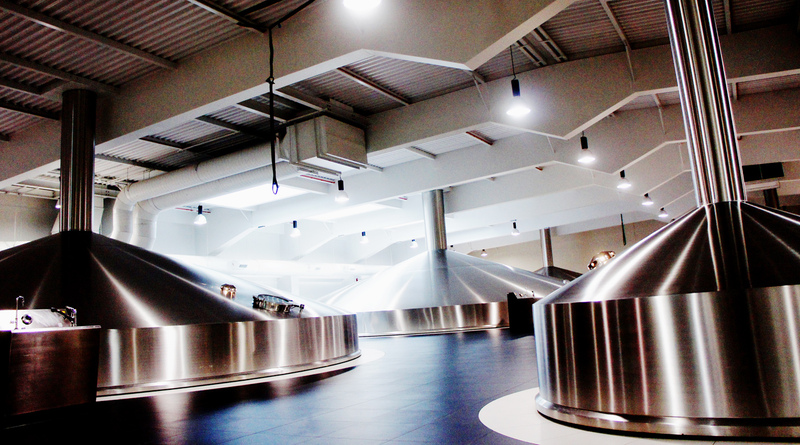 Unfortunately, Guinness asked us all not to take any photographs of the new brewhouse interior. It would be entirely wrong of me, after their incredible generosity and friendliness, to spit on their hospitality and disobey their wishes, and I am sure it would also deeply disappoint and anger the organisers of the EBBC as well, who all did such a great job, and who would undoubtedly bar me from any future beer blogging conferences, were I to disobey that request. So I have to ask you not to look at the two photographs below, and if you do accidently view them, please pluck your eyeballs out immediately. you certainly managed to sit at the right table, great to meet you at last. Seeing the shiny steel of Guinness certainly one of my highlights too. Hope to see you wherever in Europe they hold it next year! 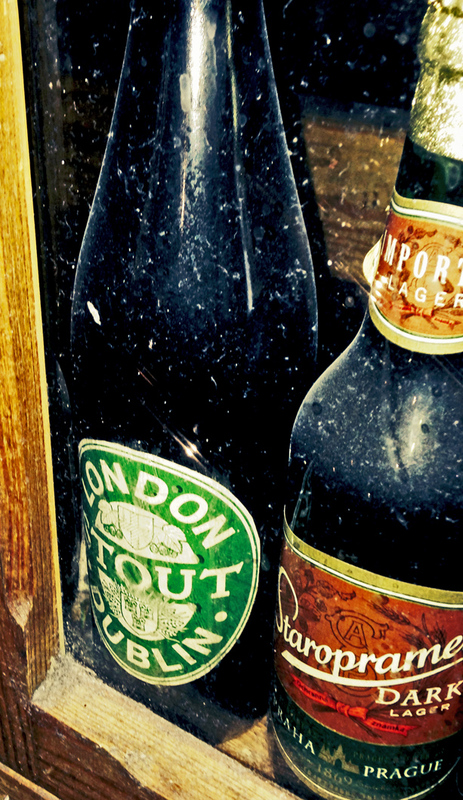 We need some good beer journalism in Hong Kong. Could you please come back? Thank you, I’m flattered, but even though the HK beer scene is becoming more and more interesting, I still prefer not to be thousands of miles away from my family. I hope Guinness are nice about the pictures, although in all honesty they’d be within their rights not to be. Always is. At every conference I’ve been to and enjoyed, the meetings at bars & in corridors have been at least as big a part of the experience as the more widely-advertised “droning on with Powerpoint” element of the proceedings. Shouldn’t that be Wedding Beer? Ha ha! 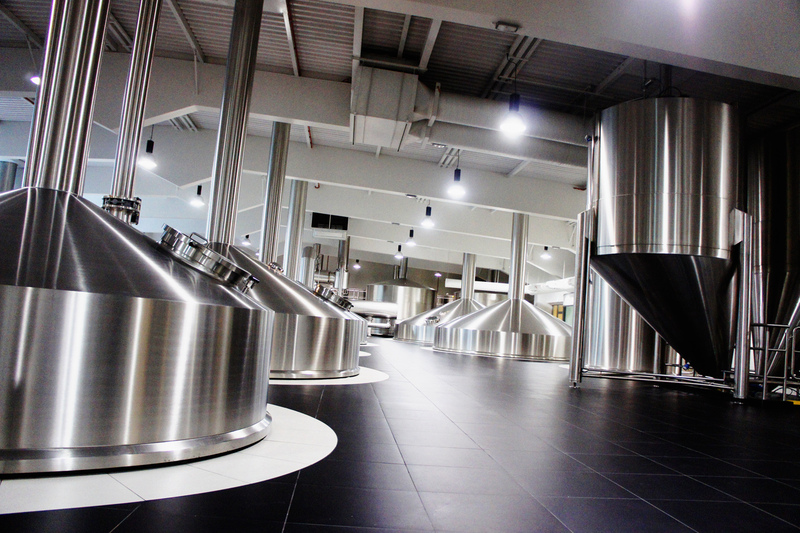 I have illicit pictures of the Stella/Leffe brewhouse in Leuven. It’s identical. 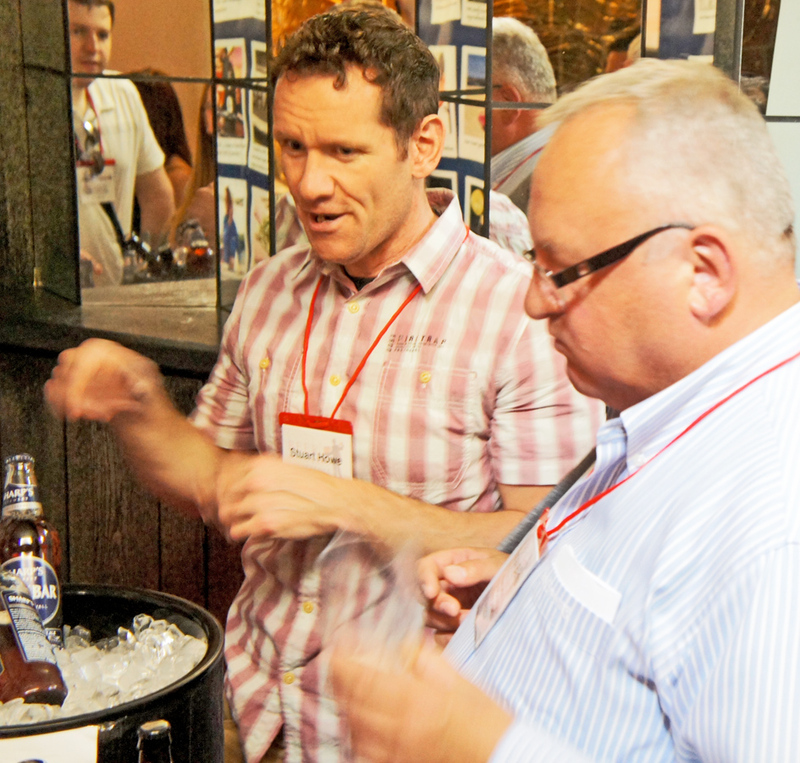 Thanks Martyn – Pleasure meeting you too..
Do they still call the mash tuns kieves? Interestingly, no, they don’t seem to any more. The Guinness factory is incredible. 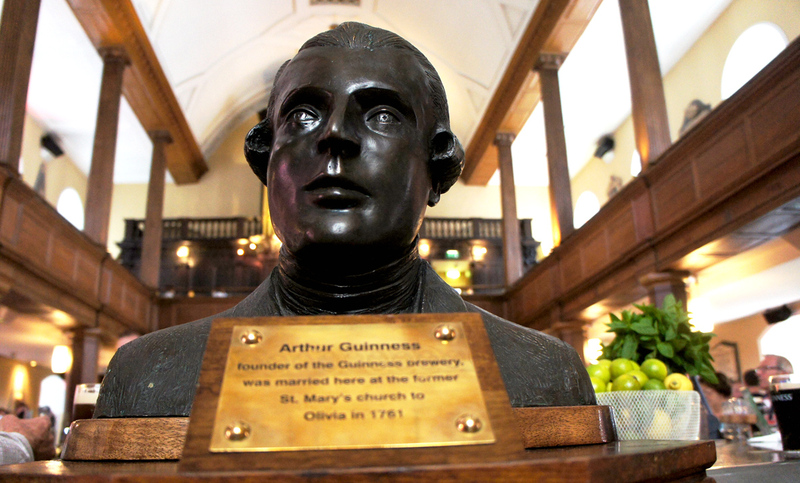 Their history is awesome and Arthur is a legend. I had my first Guinness two years ago and it’s been my favorite beer ever since.